Dear Lena Horne: I never dreamt that I would meet you, the elegant chanteuse-entertainer, on the stage of Paramount Studios in Hollywood. But there I was a fledgling journalist invited to watch a rehearsal dance routine as Ms. Horne glided across the limelight like a glorious bird in flight, a backup team of men following in formation. Her vitality and star presence dominated the scene as it did in so many of her performances. I especially treasure this encounter and remember that her signature song was Stormy Weather and indeed she did weather many stormy race-related situations but remains one of the most respected, talented and celebrated performers of all time. A woman of great beauty and commanding stage presence, she performed in nightclubs, concert halls, movies and on radio and television. In the hallowed halls of celebrity Lena Horne is known as one of the most popular African American entertainers of the twentieth century. Ms. Horne, in her own refined way, was a staunch fighter in making great changes in society that paved the way for anti-segregation. In WWII Italy, for example, she was scheduled to make an appearance before the troops, but she refused to appear before a racially segregated US Army audience. The plan was to have one show for the white troops and another show solely for black troops. Nothing doing for Ms. Horne, this African American woman, determined to succeed, stood her ground and insisted on performing for mixed audiences. She won the argument and put on a show for a mixed audience consisting of black US soldiers and white German POWs. While at MGM, Ms. Horne’s roles were shot so that they could be cut easily from the film. That was because MGM feared audiences of the day, especially in the South, would not accept a beautiful black woman in romantic, non-menial roles. Many in the show business believed that this was the main reason that she lost out on playing the mulatto “Julie” in MGMs remake of Show Boat in 1951. However, she had already appeared in the Show Boat segment of Till the Clouds Roll By (1946) in which she appeared as “Julie” singing “Can’t Help Lovin’ Dat Man,” again shot in such a way so that it could easily be edited out of the film. Because of her association with Paul Robeson and her progressive political beliefs Lena was branded a “Communist sympathizer,” which led to her to being blacklisted in the 1950s. Robeson had made her realize that African American people were going to unify and she felt that she needed to be part of that movement. From that point onward, Lena Horne became a significant voice in the struggle for equality and justice for African Americans in the United States. The seeds of entertainment were inbred in Lena Mary Calhoun Horne’s genes. She was born on June 30, 1917 in Brooklyn New York. Her mother, Edna, was an actress with an African American theater troupe and traveled extensively. Lena was born on June 30, 1917 and when her parent divorced she was raised mainly by her grandparents. Later when her mother took her on the road she experienced the first pangs of segregation when she attended various small-town segregated schools in the South. From an early age Lena dreamed of becoming a performer, much against her educated, middle class family. Lena, however, was a young woman determined to succeed against all odds and at age sixteen she was hired in the chorus at Harlem’s famous Cotton Club. Lena took voice lessons and landed in an all-black Broadway show, Dance With Your God. From then on she was jet propelled ahead and in 1936 she performed as a ‘single’ in a variety of New York City nightclubs. Romance tickled the ivories and the beautiful and talented songstress married Louis Jones, a minor politician, by whom she had a daughter, Gail, and a son, Edwin. They divorced and she pressed on to join the great white swing band, Charlie Barnet Orchestra. However, as the group’s only black member she suffered many humiliations of racial prejudice, especially from hotels and restaurants that catered exclusively to whites. Despite all the early prejudice and race segregation during the 1940s Lena Horne rose to heights of celebrity few African American women at the time could claim. Her singing roles in movies established her as the highest-paid African American entertainer in the United States. In 1981, Lena had her greatest triumph, a Broadway show called Lena Horne: The Lady and Her Music and in 1991 she was inducted into the Big Band and Jazz Hall of Fame. 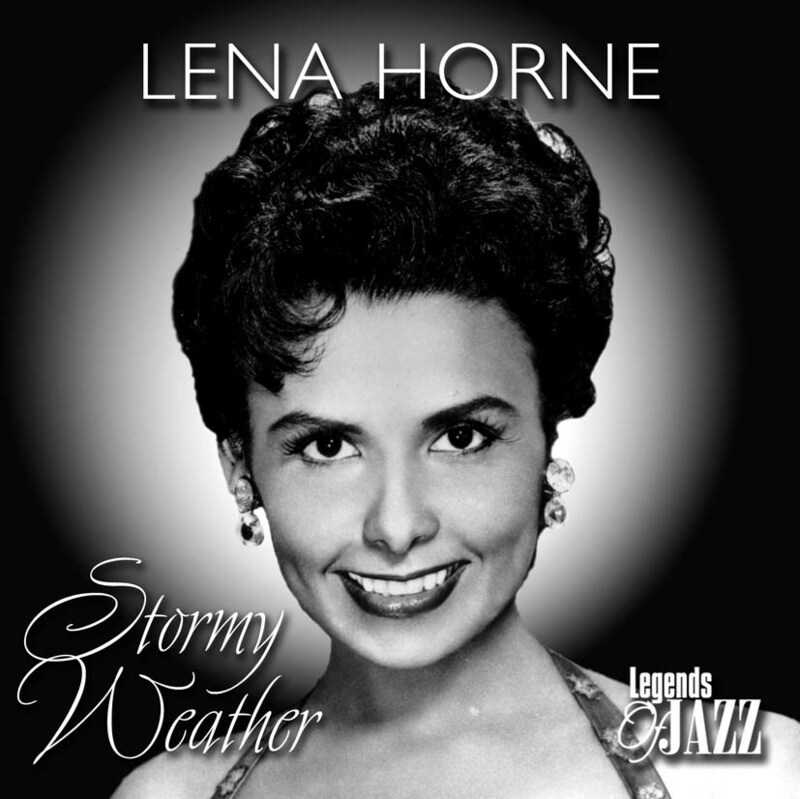 Lena Horne was an amazing woman determined to succeed. With pride of her heritage, and her innate elegance, grace and dignity she helped to improve the status of African Americans in the United States and particularly in the performing arts. She died May 9, 2010 leaving a profound legacy that has enriched the lives of her vast audience of admirers. Dear Peggy: I first saw your extraordinary art collection at the Palazzo Venier dei Leoni on the Grand Canal in Venice when I took twenty college students from the Fashion Institute of Technology on a whirlwind fashion tour several years ago. In an attempt to include some cultural venues to the fashion expedition I took the students to Venice to view your magnificent collection of modern art. They were in awe of the art works as well as your sculptures in the garden, but more than that your presence, though absent, was felt deeply and inspired their vivid reports back to the college. Your name is synonymous with the Guggenheim Museum yet you carved out a life determined to succeed as an independent art collector who bought art, not as an investment, but primarily because you loved them. It certainly makes a big difference if you have enormous wealth to support purchasing art, sometimes even picking up works of art even if they didn’t sell. However, Peggy was unique and became a true patron of the arts discovering among modern artists Jackson Pollock when he was working as a humble carpenter in the Solomon Guggenheim museum. Peggy was a unique woman, born in 1898 to a wealthy New York City family. Her lineage gave her certain advantages. Peggy’s father was Benjamin Guggenheim and she was the niece of Solomon R. Guggenheim, who established the Solomon R. Guggenheim Foundation. However, her education in modern art did not begin until 1920 when she inherited from her father, who went down with the Titanic in 1912, a trust fund with an income of $22.500 a year. With her inheritance Peggy Guggenheim could have chosen to play the role of a socialite among New York’s tony social set, but she became something more than that: an avid art collector who safeguarded modern art from obscurity. With such financial resources Peggy realized her desire to carve out a life of her own. When Peggy was twenty-two, she traveled to Europe and discovered the literary and art worlds in Paris and lived there on and off for some twenty years returning to New York sporadically. She made Paris her home base and quickly immersed herself in the arty circles. Peggy became celebrated not only as a patron and collector of modern art, but also for her love affairs with important artists including Max Ernst, Jackson Pollock and Samuel Beckett. A dedicated collector she acquired Constantin Brancusi’s “Bird in Space and works by the abstract painter Robert Delaunay. In 1938 she opened the gallery Guggenheim Jeune in London and Marcel Duchamp was her chief advisor showing the first one man show for Wassily Kandinsky, the abstract expressionist, and Yves Tanguy, the surrealist painter’s work, Le Soleil dans son ecrin (The Sun in a casket) 1937. In 1942 on the advice of the surrealist painter Max Ernst and the poet Andre Breton she continued to add to her collection and opened the gallery Art of This Century in New York. Venice beckoned in 1949 and she moved into the Palazzo Venier dei Leoni, where she installed her remarkable collection of modern art. Peggy coveted both art and lovers and became notorious for her overt love affairs, such was her free spirit. However, she did sandwich in several marriages. On one of her visits to New York when visiting a gallery owned by a cousin, Harold Loeb, she met Laurence Vail, a Dada sculptor and writer who was part of the avant-garde intelligentsia in Greenwich Village. They married two years later and had two children, Michael Sindbad and Pegeen Vail Guggenheim. The marriage ended and in 1928 she met and formed a relationship with the English intellectual John Holms, never a success he was a man who suffered from writer’s block. They engaged in a tempestuous alliance that was riddled with drunken harangues and boisterous rows. Her second husband was Max Ernst, in 1941. Another liaison was with Kenneth McPherson with whom she felt comforted and safe, and they eventually became the best of friends. Throughout her days in Venice Peggy was always surrounded by her beloved Lhasa terriers and when she died she was interred in the sculpture garden of her home next to her beloved dogs inside the Peggy Guggenheim Museum, the Palazzo Venier dei Leoni. 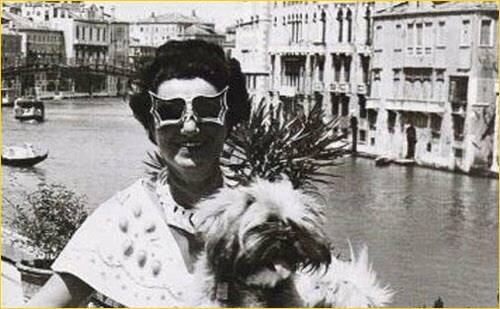 PEGGY GUGGENHEIM’S MODERN ART COLLECTION IS HER MOST DURABLE ACHIEVEMENT NOT ONLY AS A PATRON, BUT AS A PHILANTHROPIST SHE HELPED ARTISTS AND FOUNDED A PUBLIC MUSEUM. Dear Helena: Aladdin may have had his lamp, but you had a magical elixir, a simple face cream that eventually made you one of the world’s richest women. Determined to succeed with little else at first but your milky complexion and pots of gold you became a legendary beauty authority, industrial pioneer, patron of the arts and philanthropist. Who would have imagined that Chaja Rubinstein (later adapting the first name Helena), the eldest of eight children born December 25, 1870 to Augusta and Horace Rubinstein in Cracow, Poland would shape the way generations of women see themselves. 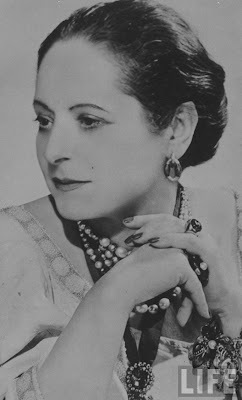 Like loyal subjects women bowed at your beauty throne to acquire the cream that made the Helena Rubinstein Empire a reality. At the age of eighteen, Helena immigrated to Australia in 1902 arriving with no money and little English. However, Helena’s milky complexion and stylish clothes did not go unnoticed by the Melbourne ladies. She noticed that the Australian women had rough reddish faces that required attention. At a time when career opportunities for women were virtually nonexistent Helena Rubinstein created a successful business enterprise. She opened a modest shop in Melbourne where she dispensed her “Crème Valaze,” supposedly including herbs imported “from the Carpathian Mountains”. Costing ten pence and selling for six shillings, it walked off the shelves as fast as she could fill the pots. Fortunately a key ingredient for the beauty cream was readily on hand. Coleraine, in Western Victoria, might not have seemed the likely place to find the gold for Helena’s cream, but the secret ingredient came from sheep, some 75 million merinos that produced the finest wool, secreting abundant grease in the process. To disguise the ship oil’s pungent pong, Rubinstein experimented with lavender, pine bark and water lilies. Helena’s cream was an enormous success and she could soon afford to open a salon in fashionable Collins Street, selling glamour as a science to clients whose skin was ‘diagnosed’ and a suitable treatment prescribed. Helena knew that women craved the attention and coveted the beauty results of her Crème Valaze. So overwhelmingly was her success that she went to London in 1902 and financed a Salon de Beaute Valaze, to Paris in 1906, and to New York in 1912. As such, Helena formed one of the world’s first cosmetic companies. Remember, this was accomplished at a time when women could not obtain bank loans, so the money was her own. Helena was a brilliant innovator in developing her business so that it required beauty routines and women to dispense advice. She trained sales people to teach women skin care and inaugurated a “Day of Beauty” in her salons, which became an instant success. In 1937 after a shaky marriage she divorced her husband Edward William Titus in London. They had two sons, Roy Valentine Titus and Horace Titus. Eager to pursue a regal title to call her own in 1938 she married the self-proclaimed Prince Artchil Gourielli-Tchkonia, a Georgian royal twenty-three years her junior, which enabled her to pass herself off as Helena Princess Gourielli. Always alert to market trends Madame developed a line of male cosmetics which bore his name. Author, Ruth Brandon relates in her book, “Ugly Beauty,” that the war also boosted Rubinstein’s business. Because “glamour was recognized as being of the greatest psychological importance” in the Allied countries, cosmetics sales spiked and Rubinstein’s company’s profits nearly doubled between 1941 and 1942 alone. During the same time Madame also sold the United States Army kits of toiletries for every G. I. deployed in the invasion of North Africa; sunscreen and camouflage makeup, not to mention deodorant and cologne which became lucrative new additions to her product line. As Helena Rubinstein’s business grew, so did her interest in the arts and philanthropy. Later in life she used her enormous wealth to support charitable institutions in the fields of education, art and health. She was a friend and patron of many artists and also accumulated significant collections of African sculpture, modern paintings, Oriental and Oceanic art and Egyptian antiquities. In 1953 she created the Helena Rubinstein Foundation, which provided the necessary funds to organizations concerned with health, medical research and rehabilitation. The Foundation also supported and awarded scholarships to Israelis. In 1959, she went to Moscow where she officially represented the cosmetic industry in the United States at the American National Exhibition. She died April 1, 1965, aged 94. Dear Flora: You carved a career in journalism at a time when few women ventured into the world let alone shaped public policy. A woman determined to succeed despite all odds you were in the right place at the right time in England and began your career in journalism in 1886. Flora was sent by the Manchester Guardian newspaper as the only woman reporter to cover the Anti-Slavery Conference in Brussels. Her influential journalism furthered a brilliant career. In 1892, The Times sent her to Southern Africa and thus began an incredible journey. The positive benefits of the British Empire infused in her writings led the way in publicizing favorable attitudes about British imperialism. Flora Shaw became one of the greatest journalists of her time, specializing in politics and economics, but she is also known for naming Nigeria. 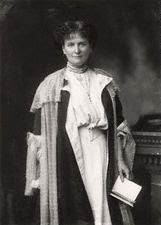 As a free woman, unencumbered by husband or family, Flora decided to use her writing ability to shape political policy. For fifteen years she worked as a highly regarded political journalist and foreign correspondent for the Pall Mall Gazette and The Manchester Guardian. She started to write for the London Times under the name F. Shaw trying to disguise the fact that she was a woman. Later she was so highly regarded that she wrote openly as Flora Shaw. She penned more than 500 articles on economic and political issues in British colonies that supported British expansion, by military force if necessary. Shaw was not timid about her point of view. She did not merely report what leading statesmen had to say about imperialism, she shaped the ways that politicians used language to garner support for the imperialist cause. Had she been a man, she was told by the Times, she would have been made their colonial editor. Imperialism played a role in the Shaw’s family, even before Flora was born in 1852, in Woolwich, England. Her mother’s father was the governor of Mauritius, A French Colonial Island in the Indian Ocean. The daughter of an English father, Captain George Shaw and a French mother, Marie Desfontaines, Flora’s talent for writing emerged early. When she was 17 she met writer John Ruskin who adopted Shaw as a protégée and with his guidance, she published her first children’s story, Castle Blair which was based on her own Anglo-Irish childhood experiences. Between 1876 and 1886 she wrote four other novels as well as a history of Australia for children. Ruskin also introduced her to historian Thomas Carlyle who introduced her to the ideals that would shape her life and career. Flora became an extremely successful career woman. Like modern women today, she did not marry until she had established a name for herself, thus freeing herself from the restraints of marital duty that were obligatory for white, middle-class, 19th century women. Although Flora had a determined sense of individualism and independence she apparently did not extend that philosophy to other women. Case in point, sadly she did not believe that other women ought to act independently of their fathers and husbands as she did and refused to support woman suffrage, or the right of women to vote. When Flora was 50 years old she married Sir Frederick Lugard, a high commissioner of Northern Nigeria, a British colony in West Africa. As a governor’s wife she continued to support the imperialism cause by promoting her husband’s career and working with philanthropic organizations, such as the Royal Society of Art. Flora Shaw Lugard’s work with refugees during World War I earned her the title Dame of the British Empire.